When picking out a refrigerator, the main feature that everyone looks for is the size. More than anything else, the size determines which refrigerator will be best suited to you. Here is a guide to assist you in learning about the various refrigerator sizes and the benefits of each. The first step in choosing the right refrigerator dimensions involves measuring the height and width of the place where you want to position the refrigerator. 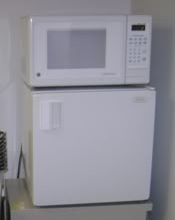 You must also consider the things that the refrigerator will need, such as a location that is near a power outlet. If you are buying a fridge with a built-in ice maker, then you will also need access to a water line and water filter. Another factor that determines the right refrigerator size would be the number of household members. The bigger your family size, the bigger refrigerator you need. You must also consider the number and kind of things that you want to store in the fridge. The size determines the storage capacity of your refrigerator. If your family drinks a lot of milk or soda, you will need a large refrigerator to keep it all cold. Refrigerators are classified according to fridge size and capability. A standard size refrigerator is the typical size of refrigerator that is used by most families. There are four basic styles of standard refrigerators, namely top-mount freezer refrigerators, side by side refrigerators, bottom mount refrigerators, and French door refrigerators. The top mount refrigerator has an eye level freezer and is the most common fridge on the market, the size of these units is generally somewhere between 29 inches and 36 inches in width, between 62 inches and 69 inches in height, and roughly 26 top 28 inches in depth. This standard fridge size is large enough for a medium size family, but will not provide a lot of extra capacity. If you do not purchase large amounts of groceries at once, these units can be a good choice. While is it hard to define a set of ‘standard refrigerator dimensions’, these models are a good starting point and can probably be considered the standard family size fridge. On a side by side refrigerator, the fridge and freezer compartments are adjacent to each other, allowing easy access to each part. You might expect this to mean that these units are wider than top mounted freezer units, but the individual compartments are usually quite narrow. The width of these units ranges from 32 to 37 inches – only slightly more than top mounts – but they are usually slightly taller, with heights sometimes topping 70 inches. They are also often slightly deeper, with depths ranging from 28 to 30 inches. Counter depth models may only have a depth of 24 inches, and the capacity of those units is reduced accordingly. A bottom mount fridge is a unique refrigerator that has the freezer on the bottom to allow it to cool faster. These units are almost directly comparable in size to top mount freezer units; they are the same basic design flipped upside down. Note that this type of model is generally more expensive than top mounts, and premium brands often sell built-in French door style bottom freezer models that have a depth of 24 inches, but can reach heights of up to 84 inches. These French door type fridges have dual fridge doors with a freezer drawer that you can easily pull out to get to the food. It is also very easy to see what is inside this type of freezer. An apartment size refrigerator is smaller than the standard size and is designed to fit in a small kitchen. These are amongst the best size of refrigerator investments for couples who do not have children or small families. They are small enough to fit in spaces where a standard fridge will not go, but large enough to hold a decent amount of food. For college students, a mini refrigerator is usually the best option. The mini fridge is a space-saving refrigerator that is useful for dorms, motels, and apartments. Its size ranges from as small as 1.5 cubic feet to as big as 5.5 cubic feet. A small refrigerator like this can easily be placed under countertops and concealed in your home bar. This size of fridge is also referred to as a compact refrigerator. A refrigerator is an important appliance in your home, and you should consider your options carefully before selecting one. Hopefully this rundown of refrigerators by size has given you enough knowledge about the types and sizes of refrigerators to enable you to easily find the perfect fridge.